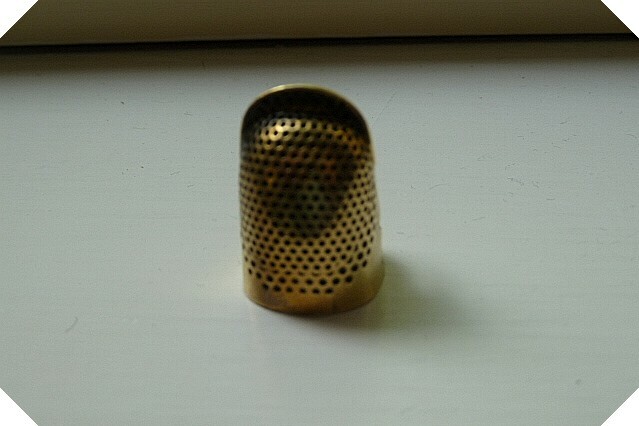 This is a photo of my favourite thimble. 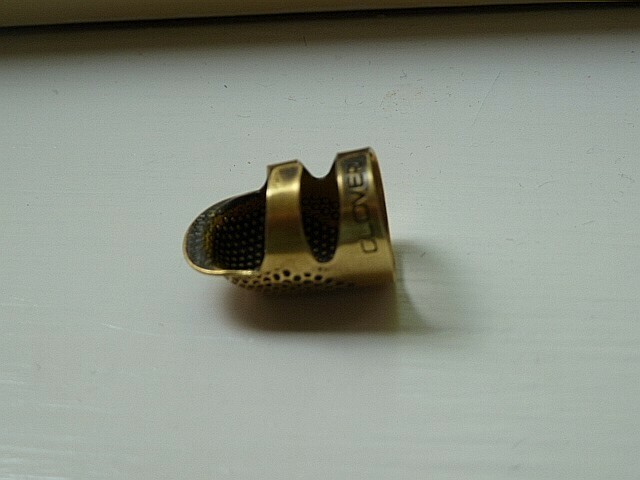 It’s a Clover adjustable brass thimble. This is a small one but even so I’ve got the adjustable bits crossed over. I nearly bought a fancy silver one a couple of years ago when I visited Jinny Beyer’s Studio. The trouble was that I was a size they didn’t have. They very kindly gave me details of the website that makes them. However when I contacted the makers they were very unhelpful and so I decided to keep my $80 and make do. My favorite was a silver thimble I got for my 21st birthday, a family tradition. Unfortunately it was stolen so my now favorite is one made by clover and it is blue rubber. There are two in a pack and they eventually get full of holes but it works so nicely and is so comfortable I will probably never go back to metal. I don’t use a thimble either. I use those little pads that you stick on the end of your fingers. One pad can usually last me a quilt or two. Love’em!! Love, love, love my Roxanne thimble. Very much like yours. Once I spent 30 minutes trying on TJ Lane thimbles. I don’t know who was more frustrated me or the shop owner. Turned out to be a good thing because I then had Didi (Roxanne) fit me in 30 seconds.